Highly productive\nWhether you want to tap, type or swipe, these notebooks give you the input options you need to express your ideas more accurately. Packing the latest Intel® Core™ processors, these beauties have the oomph and longevity to power through the toughest tasks all day long on the go.\n\nAdvanced wireless\nRoam farther and download faster. The Aspire V packs the latest dual antenna wireless technology for up to twice the performance of its predecessor.\n\nEye-catching style\nA premium aluminum top cover imprinted using nanotechnology sets these beauties apart from the rest. With a choice of colors1 you can choose the perfect one to accent the textured metallic finish for a stylish look that garners attention.\n\nExceptional entertainment\nTake your media enjoyment to the next level on the Aspire V Series. Premium Dolby® Digital Plus Home Theater™ surround sound technology1 and a Full HD display1 deliver truly cinematic experiences. Get your game on! Play today's latest games with the superior performance of NVIDIA® GeForce® graphics1.\n\nSuperior connectivity\nIt may have a compact design, but it sports all the physical connections you need to share pictures with friends or transfer them to an external drive so you can save even more!\n\nEverlasting memories\nThe Aspire V packs an M-DISC Ready™ Drive that can preserve your precious data for centuries on M-DISC™ media. Students, parents, or anyone with irreplaceable files will appreciate peace of mind knowing that personal information and priceless memories are safe.\n\nSkype Certification\nThe Aspire V meets the high audio and visual standards required for Skype Certification. Optimized hardware ensures that every word will be heard clearly with no gap or lag in speech, minimal background noise, and zero echo.\n\n Specifications vary depending on model. For shipping to other EU countries visit this page Acer Aspire V3-371-32D6. 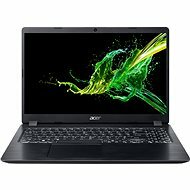 Für Versand nach Deutschland, besuchen Sie bitte Acer Aspire V3-371-32D6. Chcete doručit zboží do Česka? 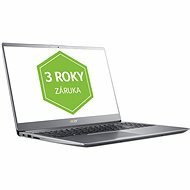 Prohlédněte si Acer Aspire V3-371-32D6. 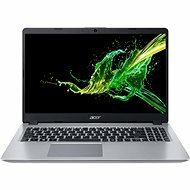 Für Versand nach Österreich, besuchen Sie bitte Acer Aspire V3-371-32D6. For shipping to the United Kingdom visit this page Acer Aspire V3-371-32D6.